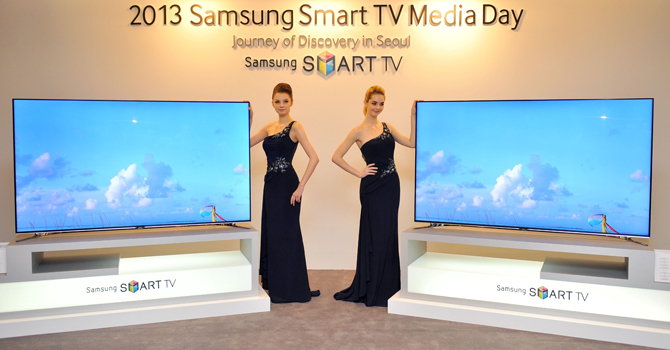 Latest news Samsung Electronics has officially the launch of its new F Series Smart TVs in Pakistan, which is designed to completely transform Home-Entertainment concepts in an event held in Pearl Continental, Lahore Pakistan. Mr. John Park, MD, Samsung Pakistan and Mr HD Lee, BM Consumer Electronics Samsung Electronics Pakistan were announced on the occasion. Speaking at a press news, Samsung Pakistan’s MD – Mr. John Park said, “The ethos behind the new series is Samsung’s belief that the tv is not only the center of the living room and bed room, but also the center of a modern day in First user’s life. Keeping this in mind, Samsung has focused on Design, Interaction, Sharing and Exploration of new technology to make our new range of TV models even more indispensable to the end user”.